Transportation has changed quite a bit in the past decade, particularly in the taxi industry. With the rising prices of taxis and other public transportation, rideshare services like Lyft, Uber, and Sidecar have changed the transportation industry. Unfortunately, any changes in the transportation can also mean new dangers for passengers. 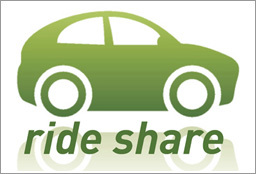 Ridesharing is a convenient service where drivers that live in a certain geographical area will drive their own cars to pick up clients. Clients use the company’s app to request a driver to their location. The drivers will then get a notification on their cell phones telling them when and where to pick up the client. These drivers originally used their own insurance for their vehicles because the vehicles were primarily for personal use. Only recently did certain companies require commercial vehicle insurance for drivers. There are also some states that require this as well, though not all states require this. Make sure the company requires its drivers to have commercial vehicle insurance. Tell the driver when you get in that you do not condone driving and cell phone use at the same time. The driver should not be on his or her phone while you are in the car. What kind insurance, if any, do they provide for their drivers? If you need a certain type of insurance, where can you get the insurance from? What are the specifications needed for the insurance? If you verify all of these questions with the company or your driver, you can get to where you need to go, save money, and stay safe!